The Subject Property was originally developed for Hephzibah Children’s Home. The subject property consists of 2 parcels (parcel 1 & parcel 2). Sales price consists of both parcel 1 & parcel 2 and can not be subdivided. 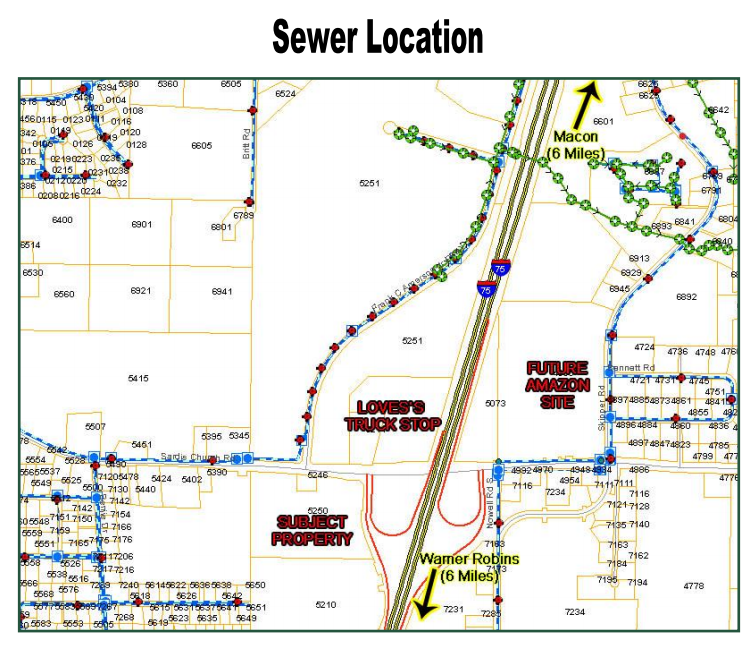 Utilities: Water available, sewer available in Macon Industrial Park across Sardis Church Road at Love’s Travel Center. 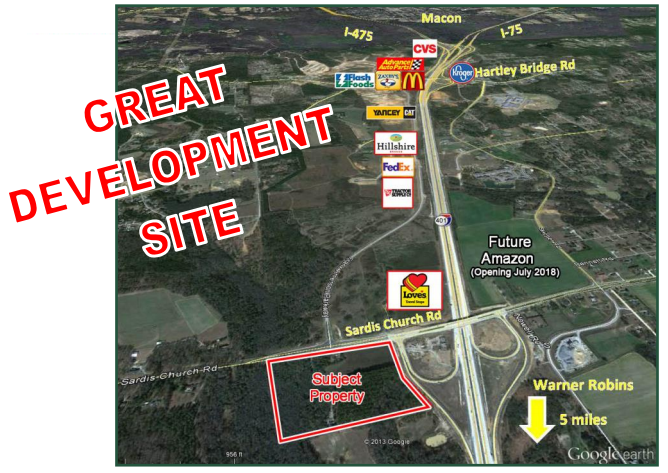 Notes: Property is just south of Macon, GA between Macon and Warner Robins. This I-75 interchange at Sardis Church Rd is the connection between I-75 and Middle GA Regional Airport, Kohl’s Distribution Center and Warner Robins Air Force Base. Cell tower is located on southwest corner of property and will be included in the sale. Love’s Travel Center is directly across Sardis Church Road from the Subject Property. A NEW Amazon distribution center (1 million SF & up to 1,000 jobs) is going across I-75 from the subject property to be opened in July 2018.